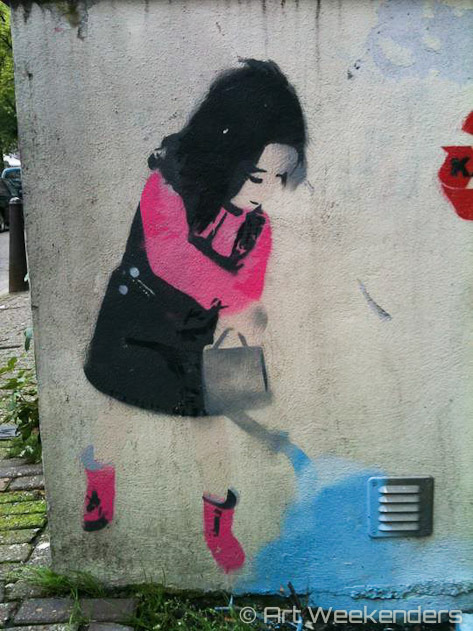 You would imagine that Amsterdam, with its arty alternative feel to it, would be your perfect city for street art. This statement is almost true. There’s indeed plenty of creativity around, also expressed in street art pieces, but it’s not as obvious as you would imagine. Without a decent guide we tend to find it difficult spotting them while navigating through the streets, even when the city is our home base. 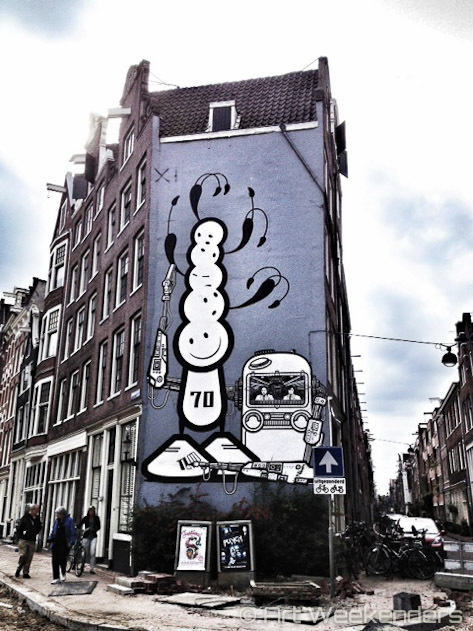 Amsterdam is certainly not Berlin, Paris or London in respect to street art. The Dutch capital remains a small town in comparison, with a very compact city centre, popular with everyone. Since the inner city is very liveable, there’s not much space available for street art, unless you want to upset someone, and most responsible street artists are not of that kind (you’re not a vandal, are you?). This lack of empty walls around every corner means that the city’s street art scene is different and had to develop in a different way. A part of this development took the street art out of the city centre, and what’s within the canal ring is more creative than what you are normally used to. You will rarely run into a big painted wall, instead it’s all about the more subtle ways of expressing yourself. It is likely requiring a bit more from the imagination for the local artists and the interaction with the everyday street objects is key. There are electricity boxes, pipes, hidden passage ways, you name it, but the big murals are few. Street art in Amsterdam is, if possible, even more forced to interact with the public space than is the case in many bigger cities. But even a smaller street art scene has an attraction on the bigger names, and therefore you’ll find art of C215 (the French “Banksy”), Sao, Cyclops and EVOL and one of our favourites, Alice Pasquini. Some people in town know the spots better than anyone. If you are interested in finding out more, there are organised tours taking place every Sunday afternoon between 1 and 4 pm (or upon request if you so desire), organised by Nicole Blommers, one of the local expert enthusiasts. The cost is €10 per person and as bonus you get a great chance to see a part off Amsterdam that you normally wouldn’t notice. 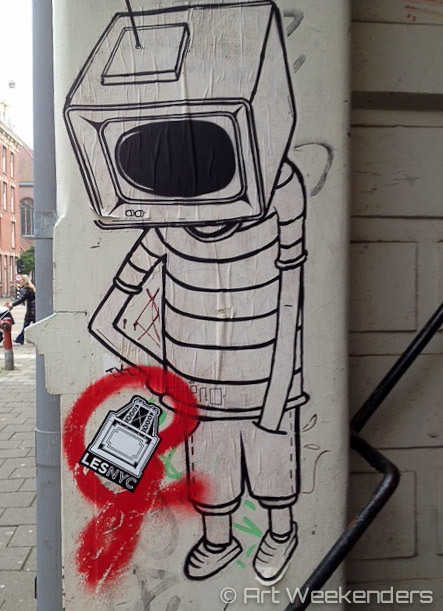 What is your favourite street art piece in Amsterdam? Do you have a story of a piece you loved, but it got removed? 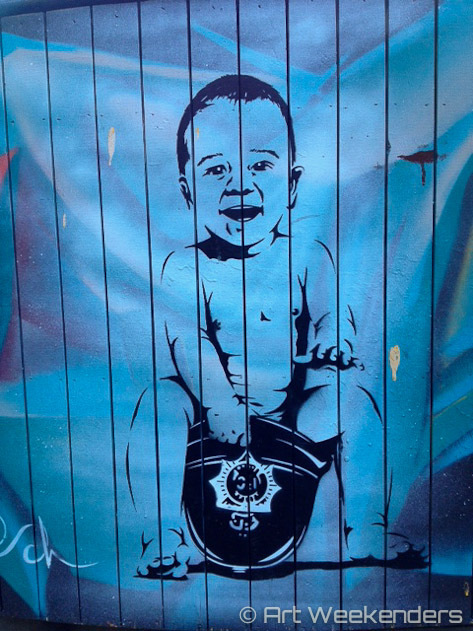 And while we’re at it, which is your favourite street art city? Feel free to share in the comments.